Can-am Defender HD10/ HD8/ HD5 Rear Bumper With Lights All Models $253.81 FREE SHIPPING! 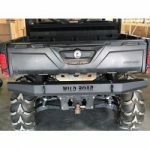 Wild Boar ATV Parts Can-am Defender HD10/ HD8/ HD5 Rear Bumper All Models $200.00 FREE SHIPPING!! 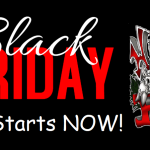 Wild Boar Black Friday Sale! Don’t miss out on these AMAZING deals! Radiator Relocation kits ONLY $155.00! All Wild Boar Bumpers marked down! Tire and Wheel packages at INCREDIBLE prices!